Two people played the Girl from Ipanema last night, which brought melody playing to mind and Joe shared some thoughts. First off, if you're playing a melodic song and play a chord tone - one of the notes in the chord the band is playing with you - a half step off, that is not going to sound good. In a blues tune, that sort of dissonance can often work; in melodic and jazz tunes, not so much. This means your bending needs to be impeccable. And in the spirit of the holidays, Joe made that point that one great way to work on your bending and ear training skill is to play melodies you know well. Your ear knows things like God Rest Ye Merry Gentleman, so you will know whether you hit the bends correctly or not. On that tune, by the way, practice it three ways - starting on the 6 draw, on the one draw and also on the 2 blow. These will exercise your bending chops. See you tonight - Joe's Harlem Harp Party, 8pm start and featuring a set from Harmonicology. This is the last newsletter of 2018. Be sure to get signed up for classes - use discount code LetsPlay19 for $15 off - and we'll see you in January! Joe talked some last night about how to improve your listening skills in order to improve as a player. Number 1, record yourself. Then of course, listen to those recordings very carefully. You need to know what your musical challenges are and recordings give you a more objective way to face them. Doubt the importance of recording yourself? Jim Liban told us when he visited that he recorded himself obsessively in the early days and listened back to the recordings as a growth tool. Jim Liban advising you should be convincing! Number 2 on your path to better listening skills is transcribing. There is so much to be learned by careful listening to the masters and working to write down what you hear. Over time it gets easier and you will also learn to discern more nuances that you missed earlier. When Joe started teaching at Old Town he sought out the blues masters and transcribed their work, both to help students but also to improve his own ear and playing. You should do the same. See you onstage next week - Joe's Harlem Harp Party is December 18. Highway RickEy gave us a terrific overview of an app-based alternative to Amazing Slow Downer called Audio Stretch. As you'll see on his handout, it has some distinct advantages, including visual looping, scrubbing, pitch holding, and pitch and harmonic identification. All very helpful tools that ASD does not offer. Don't miss page two of RickEy's handout that digs in to play and practice theory and advice. 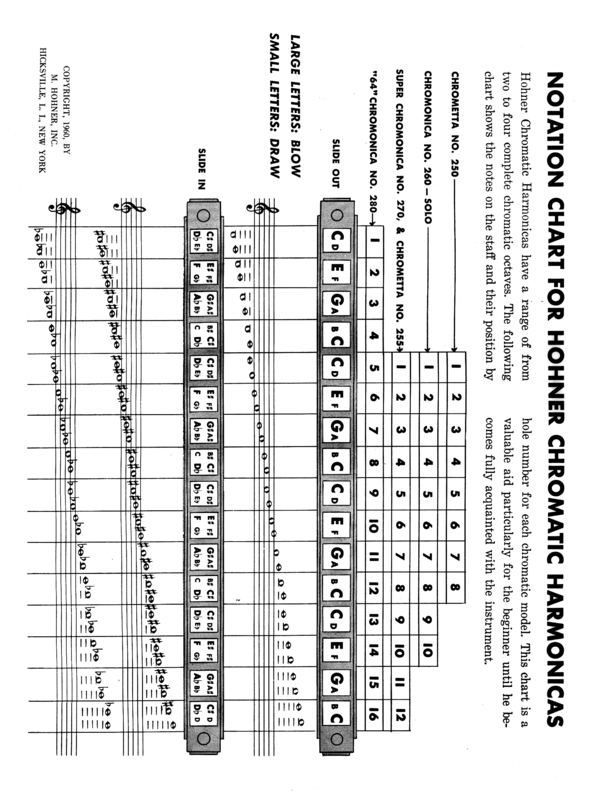 We didn't get to our intro to chromatic playing but will do so next week. Joe's away but Grant is teaching the Level III and Performance classes for one more week. Privates and Rhythm & Chording are not meeting. Welcome back to a new session! Nice performances last night and here's a heads up for next week - Highway RickEy has an alternative to Amazing Slow Downer to demo for us called Audio Stretch. Come by for a tutorial of its features. At Richard's request too, we may dig into the chromatic some. How does Count Chromatic get that sound?! Can mere mortals do that? There's still time to re-register! The session ended last week, but you can still sign up. Joe's away but Grant is teaching the Level III and Performance classes. Privates and Rhythm & Chording are not meeting. Time to re-register! The session ended this week, so be sure to sign up for the next one now. If you've noticed trouble with the YouMissedMonday website, we are aware and working on it. In the meantime, it seems to work better on mobile. The Gene Siskel Film Center lists the new Paul Butterfield documentary as playing eight times next month; three of them with the film's director present to answer questions and discuss the film. Apparently there are "special guests TBA". I assume Sam Lay will be one of them. Joe's away touring Europe, so we workshopped Don't Get Around Much Anymore in class since a few people are working on it. Thanks to Walter Horton for giving harp players entree to this Duke Ellington classic! Time to re-register! This session ends next week, so be sure to sign up for the next one soon. Matthew Skoller stopped by last night to hip us to this harp-friendly blues fest this weekend which ends with a Chicago Blues Harmonic Summit featuring Charlie Musselwhite, Billy Branch and Skoller. The second annual Logan Center Bluesfest, October 19-21, 2018, honors the South Side roots of the blues tradition with concerts, workshops, film, food, and conversation. The Bluesfest will feature local and national musicians and artists in spaces throughout the Logan Center. The Logan Center Bluesfest features a series of performances by musicians that reflect the diverse history of the blues tradition, along with workshops and educational programming to inspire the next generation of blues musicians and aficionados. Many of the events during the Logan Center Bluesfest are free. Tickets are available now. Not a lot to report but we were excited to be back in B1 after the long break, some of us pretty jazzed by time at SPAH. Conversation turned to a chording review for Help Me which Julie is working on. While she sings and plays harp, she needs an accompanist and Joe took the opportunity to demonstrate the chording which is so key to this song. Room left in group classes so if you haven't registered yet, do it now. Great performances, some work on endings, and a little more talk about amps and improv this week. Richard brought in his Blues Junior III and Joe helped him some with settings...but it was too loud to play in class, so we left it at education, not playing. REGISTER! A new Old Town session started this week and there's still time to register. HOT TIP: James Conway is in residence at Corrib Pub on Elston every Thursday this month. Performances include guests Matthew Skoller, Josh Johnson, Graham Nelson and Bob Kessler, followed by open mic time. Joe and Eric will play all the songs from their upcoming release "Destination Unknown" and announce how dedicated fans can get a pre-release download of the recording before it's official release in August. It's happening on Concert Window July 12 - more details here. There were great performances this week and a light class, so people were able to take a second pass at their tunes as they're working on them. Conversation turned to improvisation as it's something a couple people are thinking about, so Joe talked a little about first steps toward improv facility. You first need to know the blues vocabulary as well as the scale degrees of what you're playing. Start there and then begin small modifications of tunes you already know well. More as this conversation develops! Ken brought in his amp for people to play. If you're wondering what it was and want to learn more, it is this one from Windy City Amps. HOT TIP: The Black Ensemble Theater has a blues show running right now: Rick Stone: The Blues Man. Guest turnout continues and we had a good time last night with a lot of super strong performances, both from the class as well as from guests. Visiting all the way from Western Australia, Moondog J sang and played for us and sounded great. Catch him at gigs around town this week and hit his website to learn more and get your hands on his discs. 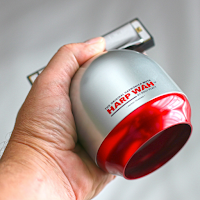 Don't miss Joe's Harmonica Party tonight at the Harlem Avenue Lounge, 8pm start. This is a great chance to get some stage time, so come on out. REGISTER! A new Old Town session starts next week, so be sure to register early. Post-Blues Fest Mondays are always a blast because so many special guests turn up. This week was no exception - in addition to having the incredible Rie Kanehira here from Japan and playing keys with the B1 band, we had folks from Germany, Belgium, Netherlands, Chile and Brazil in the house too. It was great to see and hear so many guest harp players. And to top it all off, our own birthday boy Buzz Krantz paid a visit. Thanks for coming around and playing, Buzz! Don't miss Joe's next Harmonica Party at the Harlem Avenue Lounge, next Tuesday, June 19, 8pm start. This is a great chance to get some stage time, so come on out. Bob Corritore releases his new CD next week, Don't Let the Devil Ride! It's packed with special guests, including Chicago's own Oscar Wilson, Willie Buck, Tail Dragger, Mojo Mark and more. YMM got our hands on an advance copy and it's terrific. Joe took some time last night to remind folks to keep instruction to the band to the bare minimum. Going into elaborate arrangement details with a band is just not likely to stick. Give them key, groove, tempo, starting point (top or from the V)...then state the key a second time and count it off. Arrangement points you should be able to navigate through signals, or, if the song's extremely complicated, make sure the band has a chart well ahead of time. Joe suggests you have that minimum information printed on a note card when you come up, so you don't forget what to say. Are you unsure how little to communicate for the band? Ask the B1 band to help you learn that. Naturally this led also to a little discussion of how to successfully kick off a song. Learn to communicate tempo with some simple body motion as well as a firm, regular count off and you'll be well on your way to success. It is also good to consider starting from the V in many cases, so the band has a little time to gel and you get a feel for it and the key before you start singing. Amplified blues is being celebrated at the Chicago History Museum through August of 2019. 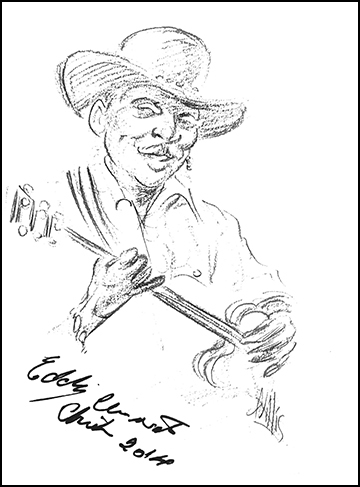 Here's a great Reader article about the exhibit - When the blues electrified Chicago. G.B. Grayson and Henry Whitter were two of the most influential artists in the early days of country music. Songs they popularized--"Tom Dooley," "Little Maggie," "Handsome Molly," and "Nine Pound Hammer"--are still staples of traditional music. Although the duo sold tens of thousands of records during the 1920s, the details of their lives remain largely unknown. Featuring never before published photographs and interviews with friends and relatives, this book chronicles for the first time the romantic intrigues and tragic deaths that marked their lives and explores the Southern Appalachian culture that shaped their music. Lots of time for performances tonight and even a few repeats so people could tweak things. Here's a question for you - how do you start a slow blues improv, from the V or from the top? There's no right answer, but we played with that question some tonight after an in-class performance didn't launch so smoothly from the I. Take Two got us there, but Joe's a fan of starting from the V so everyone knows where they are in the form. New session - there's still time to sign up! We had a terrific impromptu guest in B1 last night, Israeli bluesman Dov Hammer! Dov laid down some killer blues, blowing tasty harp and singing soulfully. He talked a little about his history and the blues scene in Israel. When prodded for advice, he was clear that you need to have a solid groove. As he put it wryly, no one's gonna tap their toes to a tune that is so complicated for you that you're not pulling it off well. Keep it simple and groove! Great advice, Dov, and thanks for stopping by! We did one last pass at Blues With a Feeling for people who missed last week and then talked a little about tunes like Highway RickEy played that can add variety to a set list. RickEy did Junior Wells' Cha Cha Cha In Blues, which brings up straight eighth songs like Walkin' Thru the Park and others. Having something like that in your repertoire will spice up a set list and wake up an audience. New session - sign up NOW! Audition now for the next Black Ensemble Theater show, Rick Stone The Blues Man. Details here. Joe circled back to Blues With a Feeling, this time sharing his transcription which led to talking about the strength of the solo. It is killer and worth your time. It starts on a slightly unusual head shake over the 5/6 draw, which is a jazzy choice as it's the flat 7 and 9th scale degrees. Note that his four chord shake then is a split four shake to fatten up his sound on that D harp. The remainder of the solo is straight ahead blues scale with some impeccable phrasing. We've talked about how to use the hook as a sideman. Note from the transcription that it originates in his repetition of it in the intro verse, which curiously starts on bar 2. If you're playing this with an unrehearsed band, be prepared to add a bar 1 and straighten this thing out to avoid any trouble. This tune is a blues standard that should be in any harp player's repertoire. Harlem Avenue Lounge Harp Party was better than ever last week - thanks to all who came out. The Chicago History Museum has an amplified blues exhibit running now. It features exhibit artwork from B1's own interior finishes artist Paul Minnihan and Billy Branch is playing there this week, so be sure to check it out. More Blues With A Feeling!!! An impromptu performance of Little Walter's classic Blues With A Feeling last week led to exploring how to use that recurring hook if you're a sideman harp player. Joe encouraged players to emphasize a hook if there is one and in this tune, it's possible to play it over the I and IV chords. Go for that repetition and establish the hook as a way of being a sophisticated player who knows the song. In describing the hook itself, Joe noted it is best started from the 3 blow and then is a slightly flat head shake. It does also work to play other chordal effects there - tongue shake, rapid vamping and even a dirty tremelo can all substitute for the head shake. Just be sure to remember that as a general rule you want to avoid the tonic over the V chord. This means you have to leave the hook over that chord. Playing a hook correctly relies on timing. You need to "own" the rhythm of the hook; hitting the wrong notes is far more acceptable than misplacing it rhythmically. Learn it cold and own it! Harlem Avenue Lounge Harp Party next Tuesday, April 10. Joe took some time last night to talk about bending. There are two critical steps to bending - One, you have to hear it to play it; and TWO, you need to master the technique. The emphasis here is on the point that you can't bend if you don't hear the target pitch in your head. Train your ear to know what you're after. Which leads to the point that bending is an advanced skill. If you can't do musical things without bending notes, you are not ready for bending. Related is the point that bending does not equal blues. Ready to work on bending though? Start by learning to play melodies. Your ear will know the target pitch to melodies you know well (Joe favors Christmas tunes) and won't let you cheat or miss a bent pitch. Remember also that bending is not achieved by force. Watch yourself play in a mirror and if you see grimaces, contortions or even exaggerated jaw movements, you are not on the right path. Bending is controlling the embouchure to achieve the tone you're after. And as you're working on it, remember that playing the three draw half step bend (flat third) a little dirty will make a poor bend sound better and dirty is always a good blues choice. And generally speaking, Joe advises to play slightly sharp rather than too flat - though ideally, neither and hit it right! Peter Madcat Ruth is in town for tonight's Harmonica Hoedown (see below for tickets) and he spent Monday night in B1, playing his ukelele along with us and offering coaching and constructive critique of performances. He spoke about head and mouth tone which is critical for him as a rack player. If you spend time playing in a rack you quickly learn what it means not to have your hands for shaping sound, so you explore head and mouth tone options. He argues that learning that can only improve your playing with out of the rack. Speaking of non-rack playing, he let us in on his little tone secret when you have your hands free - the toilet paper tube! Cup it like a can or a mic and check out that tone. And, it's free! Madcat played a few killer tunes for us also, including Dave Brubeck's Take Five, which was an amazing treat! Thanks for stopping by, Madcat! Don't miss the Harmonica Hoedown TONIGHT at Martyr's. Curated and hosted by Bob Kessler and Graham Nelson, this year's show also features Peter "Madcat" Ruth and Joe Filisko. Tickets are available here. And check out this great podcast interview Bob Kessler did recently with Madcat. How to set that amp!!! Joe took time last night to talk about the controls on amps, how they interact and what is most harp-friendly. Working from the small class amp, he demonstrated how volume, gain and tone knobs each work and how changing them relative to each other yields different sounds. Put simply, turning gain all the way up and volume all the way down gives you an extremely distorted sound. Turning them each the other way gets you a clean sound. Then of course there are various points in between for more or less distortion. Regarding the disadvantages of heavy distortion, Joe points out that you are much more prone to feedback with a distorted setting...and feeding back on stage is a clear "amateur" label, so you want to avoid that. A distorted sound also has no dynamic range. Your palette of tonal choices, volume choices and use of changes made through hand technique will be extremely limited. It is also a sound that does not allow you to "cut" in a busy, noisy band setting. The tone knob allows you to turn to a brighter sound, which cuts more, but notice too that a brighter tone setting also gives you more perceived volume. Get your amp out and run through these knob changes and see what you hear. Remember too that playing with an extremely wide range of sound and tone qualities (think Walter Horton) is possible when you work at your head tone, work at your hand technique and then set your amp clean to allow all that to shine through! There's still time to register for the new Old Town session. Psst! Madcat Ruth is going to be stopping by B1 next week. Don't miss the Harmonica Hoedown March 13 at Martyr's. Curated and hosted by Bob Kessler and Graham Nelson, this year's show also features Peter "Madcat" Ruth and Joe Filisko. Tickets are available here. What Did You Miss This Week? Final Take!!! B1 wrapped up another great 8 week session in the Performance class with our multi-track Final Take recording session. Students polished beginnings, endings and arrangements with the B1 Band over course of the session and put their best foot forward for a final recording last night. Register now for the next Old Town session, starting next Monday. We record on February 26. Remember that Grant's away for our last rehearsal on the 19th. Joe will lean in but if you have any special requests of Grant, be sure to let him know ahead of time. Register now for the next Old Town session. Final Take for this session is coming up soon on February 26. This means there are only two remaining practice weeks, so come to class next Monday ready to firmly declare your recording tune and to iron out trouble spots with the band. Note that Grant will miss rehearsal on the 19th. Joe will play guitar that evening, but keep in touch with Grant on your recording needs next week as that's the last time you'll see him before the 26th. It's a performance class! Joe reminded us of that this week while urging people to take that seriously by recording themselves in class, perhaps even video so you can analyze your stage presence as well as your sound. And pick a spotter in the room to give you feedback too. Final Take - we'll record again February 26.